Called the MHA expansion, the plan allows larger buildings in certain areas across the city and pays for thousands of units of new affordable housing. 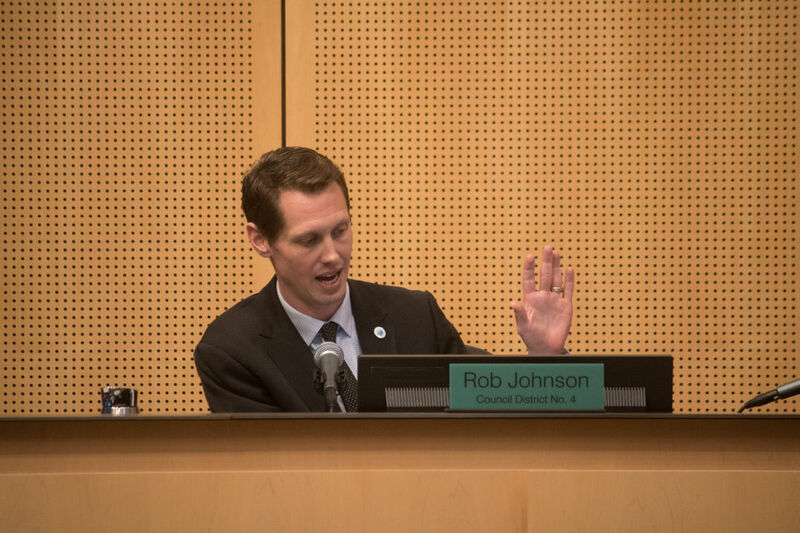 Rob Johnson led the MHA expansion through city council. The city will amend its zoning code, allowing larger buildings in certain parts of Seattle (a process known as “upzoning”) in exchange for affordable housing requirements on developers who want to build in those areas. Approximately 6 percent of single-family lots in the city will be upzoned. Developers can either reserve a fixed number of affordable units (between 5 and 11 percent) in new apartments or contribute money to the city’s affordable housing fund. The city expects the MHA expansion to produce 3,000 affordable units over the next 20 years—on top of the 3,000 units produced by MHA requirements implemented in South Lake Union, Downtown, and other neighborhoods over the last few years. Seattle has grown from a city of just over 600,000 in 2010 to over 720,000 in 2018—a difference roughly equal to the entire population of Bellevue, all looking for housing. Compounding the problem is the fact that more than two-thirds of Seattle’s land area is reserved for single-family homes, squeezing new development into relatively small areas. The city predicts that it will need more than 20,000 units of affordable housing in the next 20 years, and although this plan doesn’t come close to filling that gap, it is, as council member Sally Bagshaw put it, "a very important drop in the bucket." Who’s in Favor? What Are the Criticisms? Every council member voted in favor of Monday’s plan, and it has a broad coalition of supporters. Developers can expand to new properties, and that development will in turn fund affordable housing. Environmentalists like that denser cities curb sprawl and reduce carbon emissions. Racial justice advocates argue that making room for more diverse housing will help undo Seattle's history of racist housing policy. For many outgoing city council members, it was also a moment of vindication, and perhaps relief. “We have been working on this for five years,” Sally Bagshaw noted. Criticism has largely come from two angles: Homeowners, mostly in historically white northern Seattle, who are angry about changes to neighborhood character; and those on the left concerned that the plan doesn’t do enough to address displacement in gentrifying areas. Where Will I See Upzones? Everywhere from Rainier Beach to Bitter Lake. MHA upzones will occur mostly around “urban villages,” the transit-adjacent corridors across the city that already have a mix of commercial and residential property. Northgate will see major changes, linked to the expansion of light rail in 2021, the NHL practice facilities, and the redevelopment of its mall. University Way—“the Ave”—was removed from the plan earlier this month after furious pushback, although local business owners believe that changes are still coming. What Does This Mean for Neighborhoods? Most of the changes are on a lot-by-lot basis, so don’t expect to see canyons of high-rise apartment buildings springing up in Fremont. In general, the footprint of semi-urban areas, like Market Street in Ballard, or Rainier in Othello, may expand outward slightly. And you might not see any changes for a while—two anti-development groups and one developer have threatened to file lawsuits to block its implementation. But the big changes are going to happen regardless of whether the city has a plan in place: The Puget Sound region is predicted to soak up another 1.8 million people over the next 30 years, and they’ll all need somewhere to live.